We’re in the middle of the holiday season with all of its requisite parties, dinners and general overindulgence. However, sometimes in the midst of festive meals and a few too many cocktails, we start to crave something a bit lighter. Sablefish with Caramelized Fennel and Cherry Tomatoes is just the dish to serve: it’s on the lighter side but is still packed with lots of flavour. Sablefish is also commonly known as black cod, butterfish and sable. It is a mild, buttery white fish, typically caught in the North Pacific Ocean off British Columbia and Alaska. 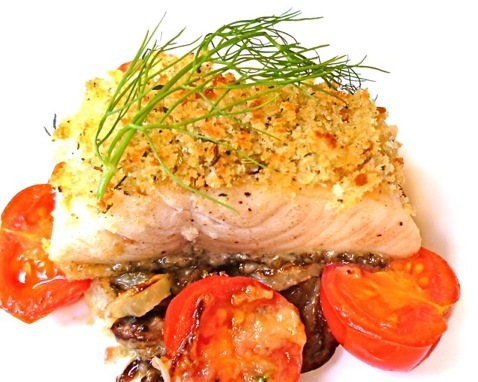 According to The Monterey Bay Aquarium and their Canadian counterpart, SeaChoice.org, sablefish is considered a ‘Best Choice’ for sustainability, meaning that stocks are abundant and well managed. Prepare the Crumb Topping: In a small bowl, add the breadcrumbs, oil, chopped thyme, fennel seed, salt and pepper and stir together until all breadcrumbs are moist. Set aside. Sprinkle a pinch of salt and pepper evenly over the fish fillets and set aside. Preheat the oven broiler and move the rack to the top position. Heat a large ovenproof, non-stick skillet on medium heat and add 1 Tablespoon of olive oil. Add the fennel slices and sauté until they caramelize and turn a dark golden brown, about 14 minutes. Be sure to stir the fennel around so it doesn’t burn and remove any pieces that brown quickly. Once the fennel has caramelized, remove from the skillet and set aside on a plate. Return the skillet to the burner and turn heat to medium-high. Heat the remaining olive oil and place the sablefish fillets in the pan, skin side down. Reduce the heat to medium and cook the fish for two minutes. Carefully turn the fillets over and cook for another two minutes. Turn the fish once again, so the skin side is down. Add the cherry tomatoes, wine, garlic, thyme and lemon juice and cook for another 2-1/2 to 3 minutes or until the fillets are almost fully cooked through. Return the cooked fennel to the pan. Press a couple of spoonfuls of the breadcrumb mixture onto the top of each of the fillets. Place the skillet with the fish under the oven broiler, watching very carefully, until the crumbs turn golden and crisp, about one minute. To serve: Divide the caramelized fennel and tomatoes between four servings and mound in the centre of each plate. Place a piece of the sablefish on each portion of fennel/tomatoes and spoon the pan sauce over the fish. Garnish with a sprig of fennel frond, if desired, and serve immediately. It’s hard to believe but it’s already mid-November! Most of the farmers’ markets have wrapped up for the year and many of us have put away our grilling equipment. However, there’s no need to despair that summer is over. It’s now time for one of easiest and most delicious types of cooking: Braising! It’s Cost Effective: Cooking inexpensive cuts of meat low-and-slow transforms them into meal that is tender and succulent. For less than $8.00, a pork shoulder can feed up to six people. As for equipment, all you’ll need is a pot with a heavy lid, a stovetop and an oven and you’re good to go. It’s Easy: Once the initial prep work is done (which usually involves little more than some simple chopping and searing), the braise goes into the oven and does its thing. You can sit back, enjoy a glass of wine and a few hours later dinner will be ready. It’s Delicious: The results achieved from low-and-slow cooking are always impressive. The meat becomes meltingly tender and the resulting juices can be reduced to make a silky, luxurious sauce. It’s Versatile: The basic technique of braising (sear the meat, add aromatics and liquid, cover and cook on low heat) can be adapted to work with almost any kind of meat or vegetable. 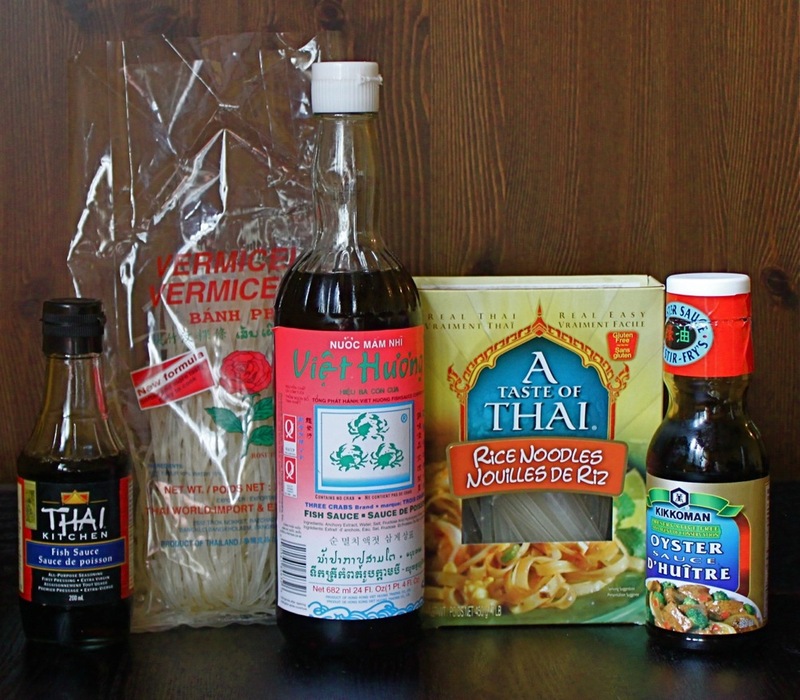 The finished product can usually be used in a number of ways, from taco fillings to pasta sauces. 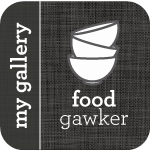 For more great braising ideas, check out my recipes for Braised Short Ribs, Steve’s Osso Bucco, Guinness Stew and Barolo-Braised Beef with Pappardelle. Sprinkle the roast liberally with salt and pepper. In a large (5.5 quart) enameled cast iron pot or other ovenproof pot with a lid, heat the oil on medium-high. Add the roast and brown on each side, about three to four minutes per side. Remove the roast from the pot and set aside. Add the diced carrots, celery and onion to the pot. Reduce heat to medium and cook for two minutes. Add the chopped garlic, star anise points, red pepper flakes and ginger. Continue to cook until the vegetables are softened, about three to four more minutes. Stir in the hoisin sauce until thoroughly mixed in and cook for another minute. Pour in the chicken stock, shaoxing wine (or sherry), soy sauce and rice vinegar. Add the brown sugar and stir until dissolved. Bring the sauce to a boil and return the pork shoulder to the mixture. Cover tightly and place in the oven for one hour. After one hour, remove the star anise points if desired (it is quite strong). Return the pot for another hour. Check on the braise after the second hour. When done, it should be fork tender. Return to the oven for another 30 to 45 minutes, or until completely tender and the meat is easy to shred. Remove the pot from the oven and transfer to the stovetop. Carefully take the shoulder out of the liquid and set aside in a large bowl. Strain the remaining sauce through a fine mesh strainer into a saucepot. Bring the sauce to a boil and reduce for about 15 to 20 minutes. In a separate cup, combine 2 teaspoons cornstarch with 2 teaspoons cold water. Stir until the cornstarch is completely dissolved and free of lumps. Pour into the strained and reduced braising mixture. Continue to boil for another five minute until the sauce begins to thicken slightly and is a bit glossy. Season with salt and pepper to taste. To serve: Break off chunks of the pork shoulder with a fork. Pour the sauce liberally over the meat and garnish with green onions, if desired. 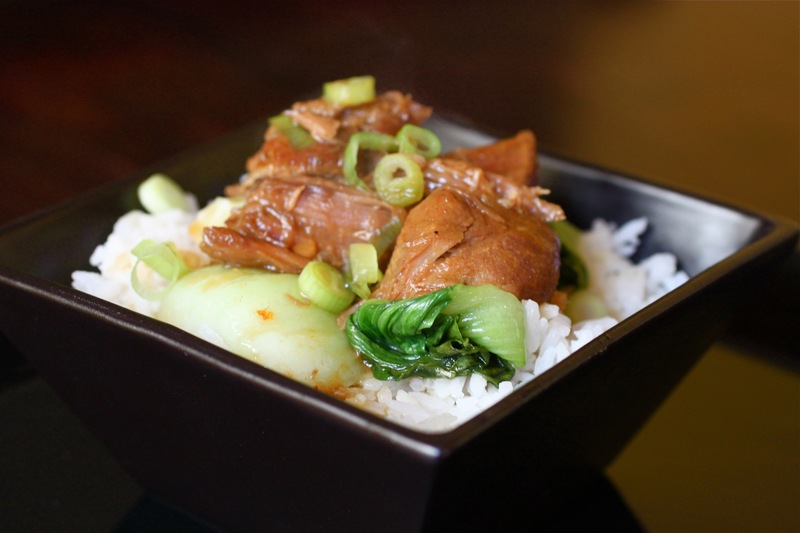 It’s delicious over rice or noodles and accompanied by sautéed bok choy. 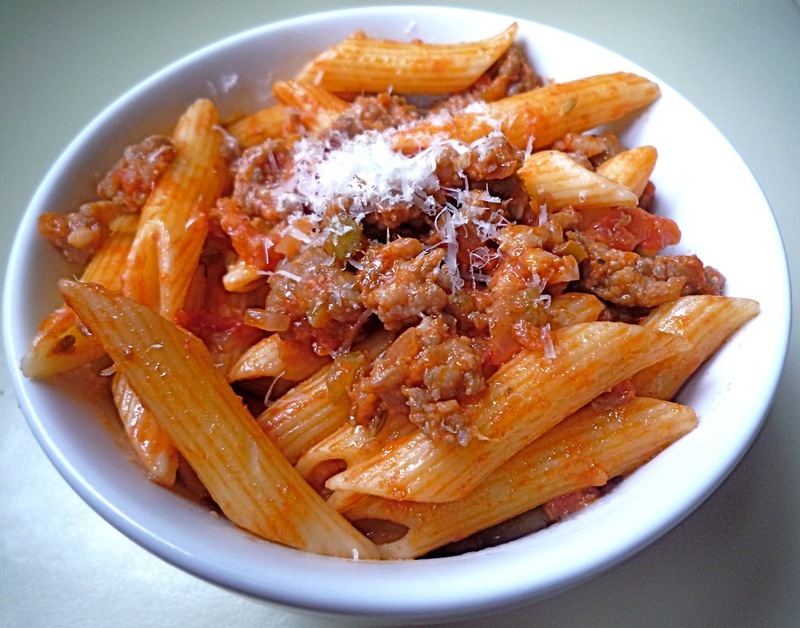 Note: The meat and sauce can be refrigerated overnight, making it easy to skim off any excess fat. The sauce will likely gel once cooled but will return to liquid once heated. I first discovered fennel seed in a somewhat unusual way. When I was a kid in the late 70’s and early 80’s, my mom would sometimes make boxed Kraft pizza (we lived in a rural community so delivery wasn’t an option). Each kit contained a can of sauce, dough mix and a seasoning packet of dried herbs to sprinkle over the pizza. All you had to do was add the toppings of your choice which usually included ground beef, mushroom slices (canned, of course) and cheese. I always loved the seasoning packet – it added a zippy burst of Italian flavour to our less than authentic pizzas. Years later I finally realized what it was that gave our ‘pizzas’ the flavour I loved so much: fennel seed. Fennel seeds are the dried fruit of the sweet fennel plant. They have an anise (black licorice) flavour and pair well with pork. In Italy’s Tuscan region, fennel salami (finocchiona) is very popular and fennel seeds are often crushed to rub onto meat before roasting or grilling. They impart a delicious burst of anise flavour when chewed. Fennel seeds can be found at most well stocked grocery stores or kitchen shops. Look for whole seeds as opposed to ground ones. A tip: You can use either cream or evaporated milk in this recipe. While cream will give the sauce a silky richness, it’s very high in fat and calories – low-fat canned evaporated milk is a decent substitute. In a large deep skillet or enameled cast iron pot, heat olive oil on medium-high heat. Add onion and celery and sauté until they begin to soften, about 2 minutes. Slice the skins of the sausages lengthwise down the middle and remove the meat from their casings. Discard the casings. Add the sausage meat to the pot and use a spatula or spoon to break up the meat. Add garlic and fennel seeds. Cook sausage mixture on medium-high until just browned, about 7 minutes. Stir occasionally to ensure it doesn’t burn. Add tomatoes and break up with a spoon. Simmer for about 5 minutes, until some of the liquid has evaporated. Stir in tomato paste until thoroughly combined. Add evaporated milk or cream and stir into sauce. Let sauce simmer for 5 more minutes. Season to taste with a pinch of sugar (optional – use if the tomatoes are very acidic), salt and pepper. Keep warm on low heat while the penne cooks. In a separate large pot with a lid, heat water to cook the penne. Bring to a boil and cook penne until al dente, according to package instructions, about 10 to 12 minutes. Drain penne and toss with sauce until thoroughly coated. Garnish with parmesan cheese if desired. 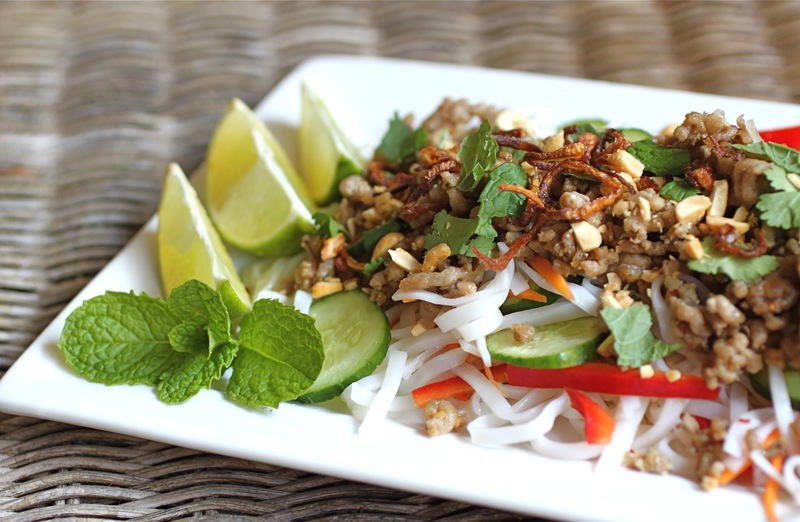 This recipe first appeared on Suite 101.com. 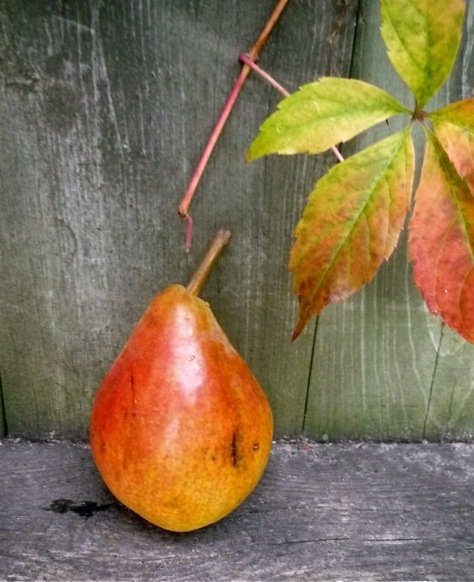 For more great autumn ideas, check out the Fall Archives! With summer produce at its best right now, we can rely on top quality ingredients to keep cooking simple. One classic summer dish that couldn’t be easier is Insalata Caprese – a salad made with fresh mozzarella, tomatoes, fresh basil, olive oil and sea salt. 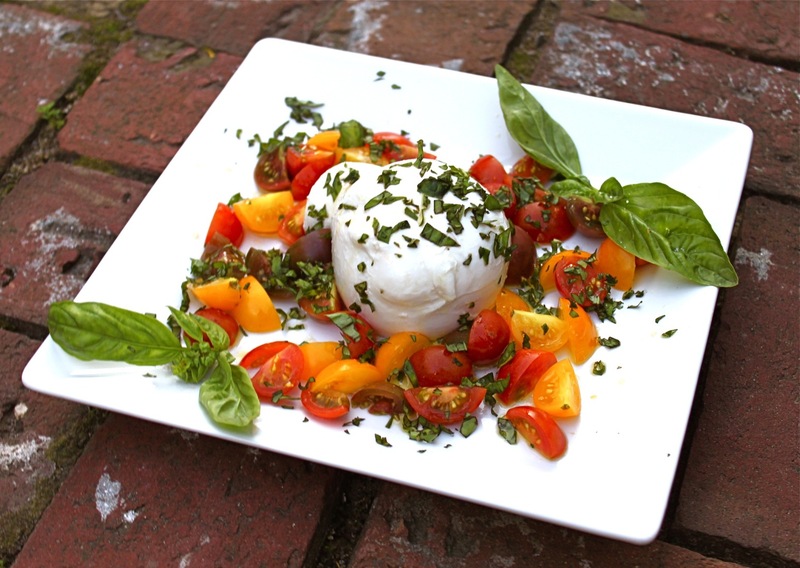 For an interesting twist on a standard caprese salad, why not try it with burrata instead? Burrata is a type of fresh mozzarella cheese from Puglia in southern Italy. Each baseball-sized round of burrata is stuffed with mozzarella curds and cream, which spill out once it has been cut. Each ball has a ‘knot’ on top where the cheese was sealed, keeping the cream inside. It is often packaged in a damp wrapping or suspended in liquid to protect it. 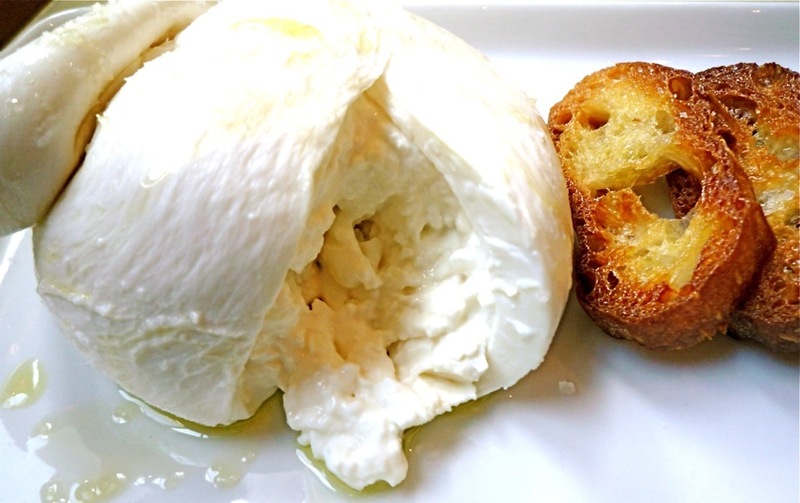 Burrata is extremely delicate and should be consumed within a few days of production. Until recently, burrata had to be imported from Italy to North America, however, there are a number of producers now making it in Canada and the United States. In Toronto, I usually buy burrata produced by Quality Cheese or Santa Lucia. It’s usually available at specialty cheese shops including Olympic Cheese, Scheffler’s Deli and the Cheese Boutique. 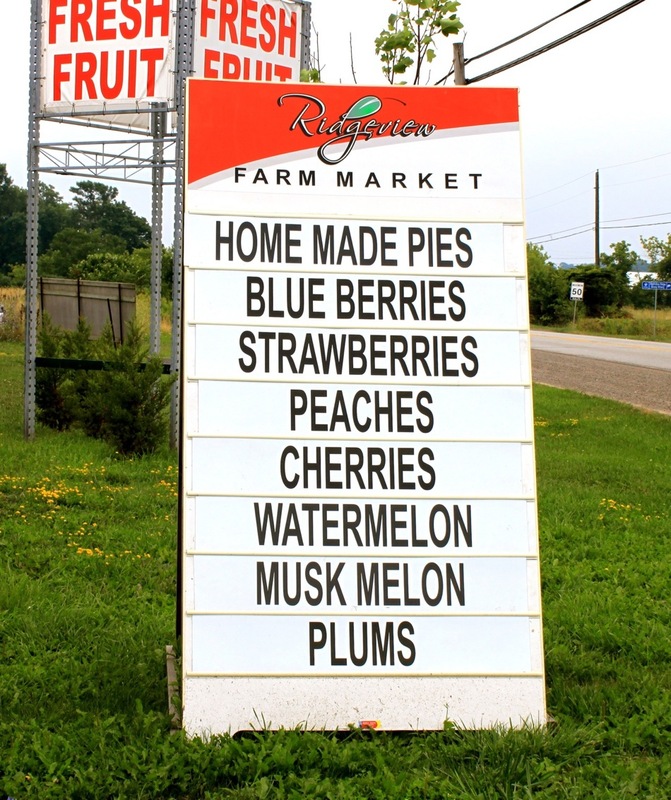 In other areas, a google search should indicate where you can find it (unfortunately it may be difficult to locate outside of urban areas but ask at your local market – they may be able to order it for you). The key to serving burrata is to keep it simple. A simple drizzle with olive oil and a dash of sea salt will suffice but I like to showcase peak season tomatoes and basil to take it to the next level. Prepare some Olive Oil and Sea Salt Crisps to spread it on (see recipe below). 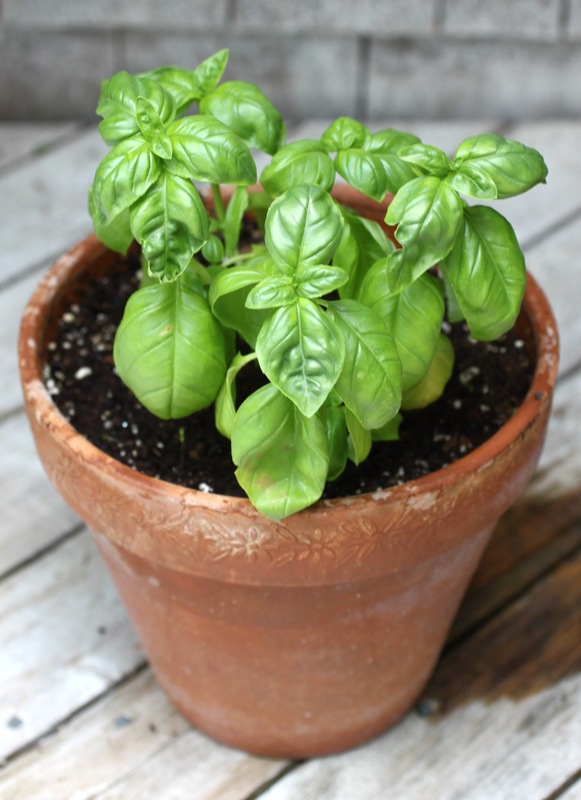 Use good quality olive oil, sea salt and the best quality fresh tomatoes and basil you can find. Be sure to bring the burrata to room temperature for a half hour or so before serving. This dish only takes minutes to put together and will be sure to impress your guests as an appetizer or starter dish. Remove burrata from its packaging and use a clean towel or paper towel to dry it. Set it on a serving platter and let it come to room temperature for at least a half hour before serving. Place the tomatoes around the burrata and sprinkle with chopped basil. Drizzle a small amount of olive oil over the cheese and tomatoes and season with a pinch or two of sea salt. Use a knife and spoon to serve on crisps. Tip: These crisps can be made in advance and stored in an airtight container for a couple of days. However, if you don’t have time to make them, Ace Bakery sells a similar product that works well. You can also serve the burrata with toasted baguette slices or even crackers. Slice a baguette into rounds about 1/2“ thick. Brush both sides of each slice with olive oil and lay in a single layer on a baking sheet. Bake for 9 to 10 minutes or until the bottoms are golden brown and toasted. Turn crisps over and bake for another 3 to 5 minutes. Remove from the oven and sprinkle with sea salt. 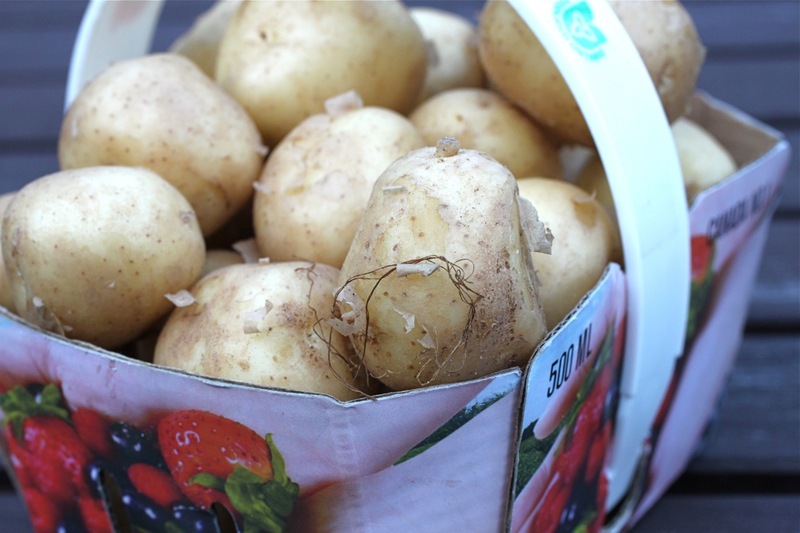 Crisps can be kept in an airtight container for a few days. To make garlic crisps: Peel a clove of garlic and rub it onto each crisp. Portions of this article first appeared on Suite 101.com. Copyright Trish Coleman. Please contact the author to obtain permission for republication. I’ve been pleased to discover that this has been a pretty good year for tomatoes in Southern Ontario. Thanks to a hot, dry July, this year’s tomatoes have good flavour. Eatocracy recently did a story about the Best Sandwich in the Universe: a tomato sandwich, simply prepared with white sandwich bread, sliced ripe tomatoes and mayo. It only works in the summer, when tomatoes are at their peak. I don’t disagree that a tomato sandwich is a thing of beauty but my personal favourite is a BLT. The crisp bacon and crunchy lettuce elevate the tomatoes to new heights, in my humble opinion. 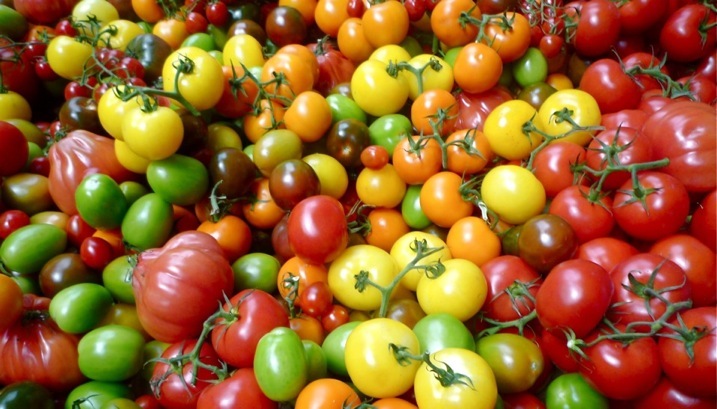 For more great ideas using tomatoes, check out the Tomato Archives. Corn has been plentiful this summer but I’ve had a bit of an issue with some of it. I bought some nice looking cobs at the market a couple of weeks ago and used them to make a pasta dish. Unfortunately, the kernels were a little too sweet (if that’s possible!) and tasted more like sugar bombs than corn, which didn’t really enhance the recipe. 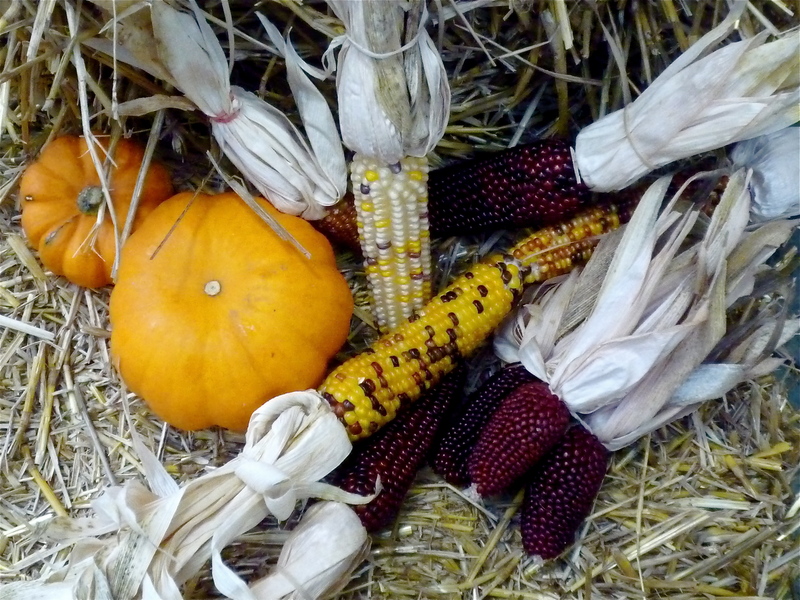 However, I bought some cobs last weekend that were much better – still sweet but they had a decent ‘corn’ flavour as well. Simply boiled and dressed with butter, salt and pepper, it was a true taste of August. 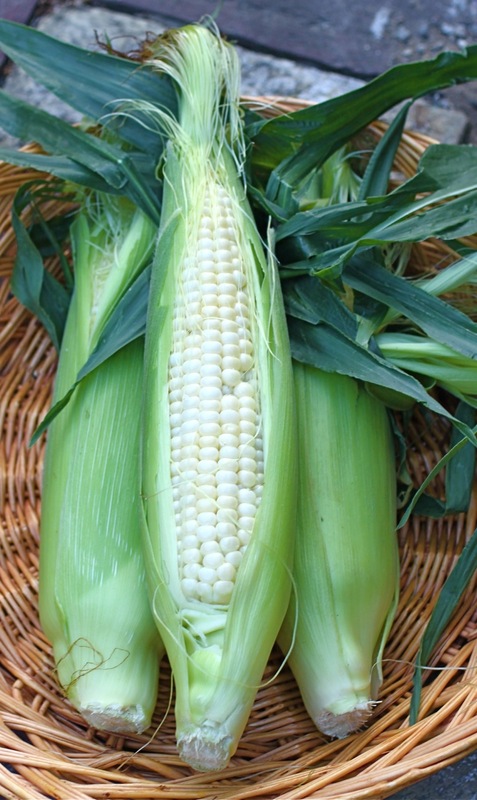 Why not make some Corn Chowder with Bell Peppers or try Corn Scallop, a delicious side dish for grilled meats. 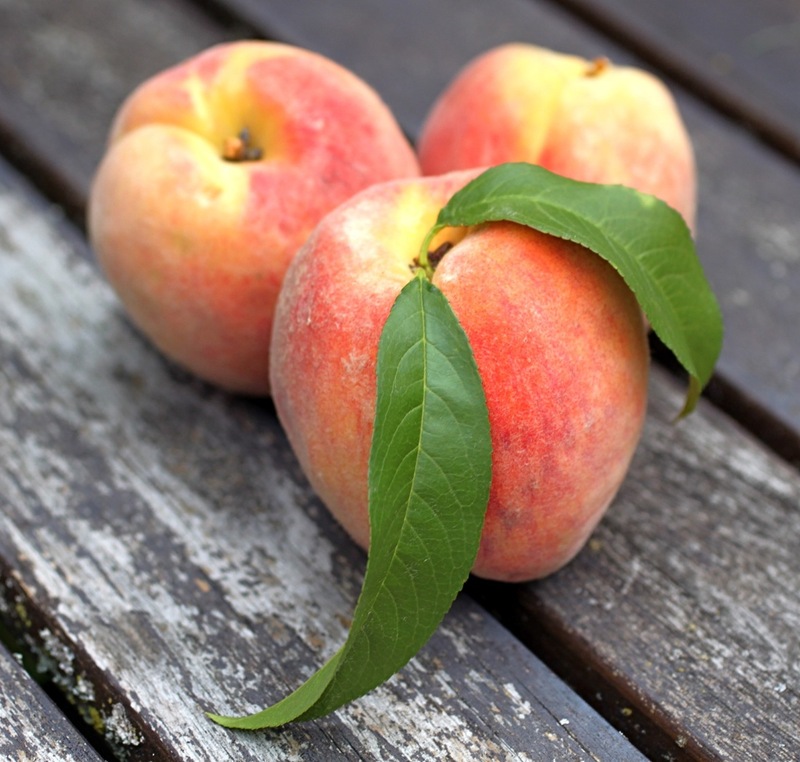 Peaches are a staple at Ontario markets this time of year. This year I’ve found them to be flavourful but a little on the small side, which one of the growers told me was because of the dry weather in July. Peach Cobbler is a classic and Peach Tiramisu is a unique twist on an Italian standard. If you’d rather something more savoury, Peach Chutney is a great accompaniment to pork or chicken. Zucchini and patty pan squash were abundant at the last market I attended. Luckily the zucchini were still young and tender – they can get watery as they grow large. Smaller summer squash tend to be sweeter and work well in pasta dishes such as Summer Squash with Egg Pasta. Zucchini Bread with Cream Cheese Frosting is a great way to finish the meal – it’s moist, flavourful and the cream cheese frosting makes it special. Baby potatoes are one of my favourite things. They can be prepared very simply: give them a quick boil or steam and dress with a little bit of butter, salt and chopped parsley (add a little sour cream if you want to be decadent!). Or you could whip up a batch of Baby Red Potato Salad with Mustard Vinaigrette, a mayo-free, zippy potato salad that’s a nice change from the usual (you can use regular white potatoes in place of red). It has been a good year for basil, at least for farmers (my personal pot of basil didn’t make it through the heat wave). Every time I have purchased some at the market this summer, people on the street and the bus have commented on how incredible it smells – a taxi driver even asked me for a leaf so he could see what it tasted like! 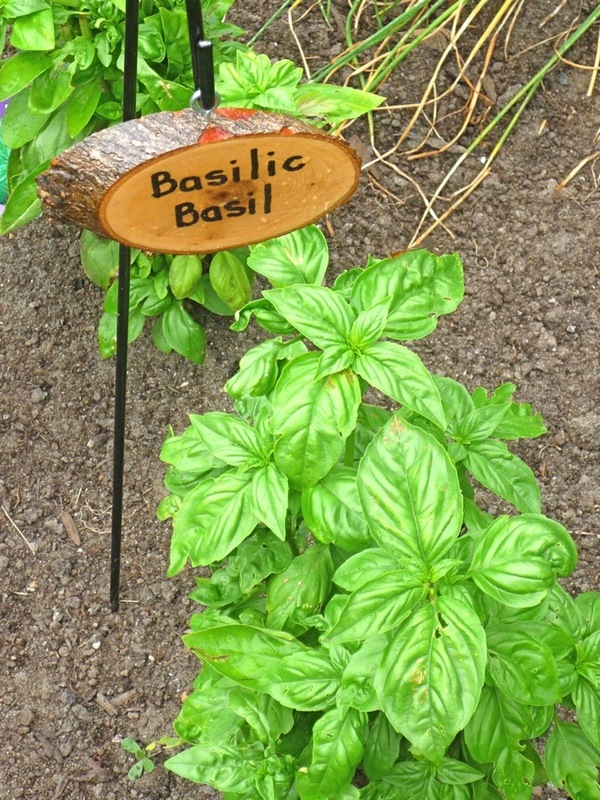 Pesto is one of the most common ways to use a lot of basil. Homemade Ricotta Gnocchi with Pesto is impressive and surprisingly simple to make. This month’s Saveur magazine has a full feature on pesto with a number of delicious recipes, from Pesto-Rubbed Chicken with Panzanella to Crispy Calamari with Pesto Mayonnaise. Caprese Salad is another way to use fresh basil – and it’s a great showcase for perfect tomatoes too! !